Undertaking an online course can be a great way to build on the knowledge that you have developed on practical courses or to ensure that your knowledge is at the right level ahead of a course or an examination. We offer the full range of online courses including the RYA VHF Online Course, the RYA Professional Practices & Responsibilities course and of course the RYA Dayskipper Theory, Yachtmaster Theory, Essential Navigation and Seamanship courses and the CEVNI online test. You can book the courses online on this site and we’ll get you set up so that you can log in and get going. For many courses you get a course pack and/or a course book too. If you are unsure which course best suits your needs or want to discuss the benefits of an online course versus a classroom course then just give us a call or drop us an email. The VHF (or Short Range Certificate) is essential for anyone with a VHF set on board their vessel. Taking the course online is a great option for those who want to do the course in the evenings or when travelling. A really beneficial online course aimed at boaters keen to develop their navigation knowledge beyond the basic level typically achieved on courses such as Powerboat Level 2. 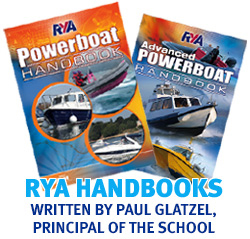 A mandatory course for commercial skippers and one that contains a huge amount of useful information essential for those in charge of others afloat. The CEVNI test is essential for anyone looking to use the inland waterways of Europe. Undertaking the course online is a great way to study the course and then do the test.